We are a one-stop shop for sporting events such as country pursuits motor sports fun days and team building. Free venue finding service. Hospitality at all major sporting events. Cavendish Sporting will provide a professional and collaborative service from initial planning to event management on the day itself. From small soires to fully themed corporate extravaganzas, Cavendish Sporting can do it for you! Charges for our services vary according to each individual event and are normally covered in commission from the venue and in the design and provision of our own ideas and products. With our experience and professionalism we pride ourselves in creating a strong personal rapport with you, the client, to understand your every need. By doing so we will produce unforgettable, unique and highly effective results. 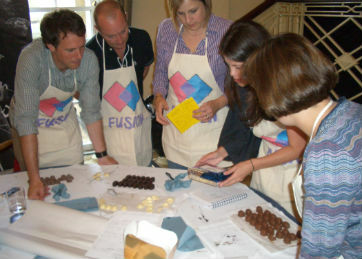 There are numerous activities which can be incorporated into your event. Here we provide descriptions of some of the most popular. Participation Events provide a day of light-hearted competition for your staff or clients. No prior experience is necessary as full instruction is given, and only top quality equipment is used. Hospitality at Sporting Events is always popular. We will ensure that your day runs smoothly, and we can also arrange for sporting celebrities to entertain your guests. Team Building is an important and useful tool for staff incentive and motivation. Our specialist knowledge enables us to offer you the most effective and enjoyable courses and events. Family Fun Days are much in demand. We can create an event to suit your exact requirements, with activities such as It's A Knockout, a Children's Play Area and Ferret Racing or Duck Herding. Meetings and Conferences for Business. Our venue knowledge for conferences and meetings is extensive. We operate throughout the UK and overseas and will negotiate the very best deal on your behalf. For further information, about what we have to offer, please visit our website, or call on 01420 588275. If you are looking for style, challenge and fun Cavendish Sporting can help. We specialise in high quality corporate events. Country pursuits, including our unique GNAT Shooting, and motorised activities have kept us busy since 1988 and now with a growing team of dedicated specialists we also arrange conferences, summer and Christmas parties, team building and sporting hospitality. We are proud to guarantee the highest standards of preparation, organisation, entertainment and safety. Cavendish Sporting is also delighted to offer a professional and dedicated service in organising and managing the complete event. Let us help you. We ensure that throughout our working partnership you will be involved step by step so as to provide mutual confidence and to maximise success of the event. We&rsquo;ve had two emails from our Finance Director and Commercial Director to say how good and well run an event it was! Wowsers! Pressure's on for next year then, over to you Rich! Thank you both for your help over the past two days, and the past few months! You have been amazingly professional and organised (and friendly of course); it was a delight to be part of an event that I&rsquo;d helped to organise but to be able to be involved in the event too.